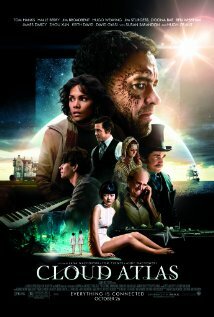 Cloud Atlas is a mess, a huge, sprawling epic that jumps through different time periods at will. It’s also one of the most interesting films I have seen all year. Based on the “unfilmable” novel of the same name, Cloud Atlas tells six different stories from six time periods — from 1849 to present day and far beyond. Each story uses different characters, but they all appear to be connected in some way. The film is here to show us how the lives of others impact those in the future, and that we as humans are connected regardless of our race and gender. With a running time of nearly three hours, there’s a lot to digest. The film itself is visually stunning and begs to be seen on the big screen, and it has an especially impressive score (composed by the trio of Tom Tykwer, Reinhold Heil and Johnny Klimek). On aesthetics alone, Cloud Atlas is a treat. However, I’m still trying to wrap my head around what I watched. It’s no secret that a film of this magnitude will welcome a second viewing (at least). I spent a great deal of time trying to piece together just how each story was connected, and I kept an eye out for subtle (and not-so-subtle) hints that put the different eras together. With so many stories and characters to keep track of, it’s impossible to pull it altogether after one viewing. This will infuriate some viewers, no doubt, and I’m not sure the payoff is as exceptional as it could be. Regardless, it can be a challenge to keep us entertained for a full three hours, and I was genuinely enthralled for the vast majority of the feature. With so much going on, you really do need to give this your full attention. It helps to have an absolute star-studded cast at the disposal of the film, and it’s a lot of fun to look out for the same actors in each time period. Tom Hanks, Halle Berry, Hugo Weaving, Jim Sturgess and Hugh Grant appear in every single story, always playing different characters (some major, some not). Hanks, in particular, is greatly entertaining, especially as the 2012 writer, Dermot Higgins, who is responsible for one of the film’s most shocking moments. Much controversy has been raised about the use of white actors playing Asians in this film. Normally I am against this so-called “yellowface” tactic, but there is no underlying racism here. This film is meant to show how we are all connected, regardless of race, and it’s not just white people playing minorities here. Both Halle Berry and Doona Bae (the popular South Korean actress) play white women at one point. Although sometimes the heavy makeup used by these characters becomes distracting, I thought that using this same group of stars for multiple roles was a brave choice, and the correct one at that. 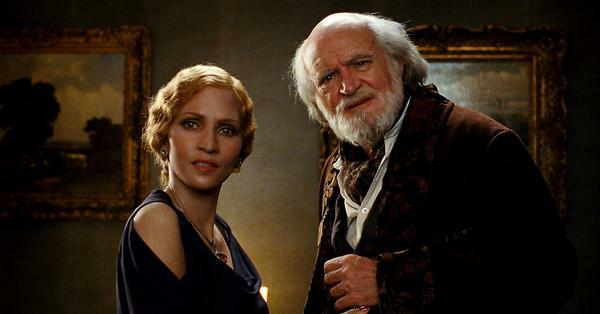 Cloud Atlas has received wildly mixed reviews, which should be a surprise to no one. The buzz word going around is that the film is “ambitious” and for some this is a good thing, while for others it is not. I like a lot of what the film tries to do, and it is an entertaining “mess” as I mentioned earlier. Some plot threads could have been tightened up, and a few scenes felt unnecessary in the grand scheme of things, but for the most part the film succeeds. 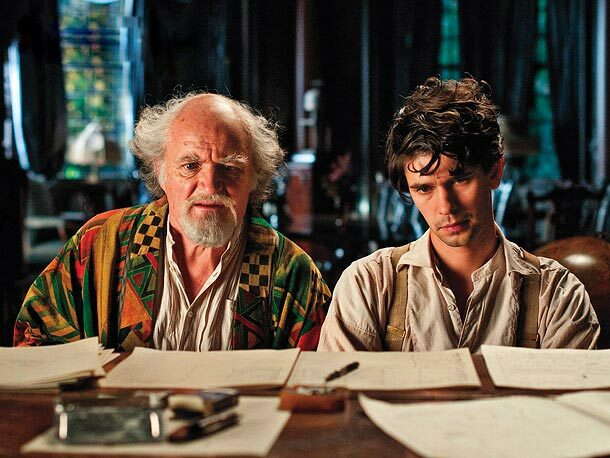 Love it or hate it, there hasn’t been another film like Cloud Atlas this year. Yeah, well said, man. My girlfriend didn’t like the movie at all, largely because of the disappointing resolution. It’s a killer concept, and I had fun watching everything unfold, but it could have used a stronger payoff for sure. I want to read the book and see the movie. Definitely has my interest. I’m curious about the book now, too. I bet it would clear a lot of things up from the movie. Good review Eric. I thought it was interesting and confusing. I liked that. If a movie 3 hours long can keep me awake, then there is something there, peaking my interest. I’ll admit I didn’t quite get the whole message of the movie, until it was explained to me, then I just went, “huh”? Still, I liked what I saw. Yeah, this is one of those movies where I’m glad I had a long walk home to talk it over and discuss afterward. There’s definitely a lot to digest. I’m not surprised that this got mixed reviews, the jumpy timelines is quite confusing and I found myself struggling to follow some of the dialog too. But like you said, it’s one of the most interesting films I’ve seen this year and there are a lot to appreciate here to warrant a high rating from me despite the flaws. The visuals and performances, plus the amusement from watching the same actors playing multiple characters made me glad I saw it on the big screen. Good point about the dialogue. A lot of the futuristic stuff was hard to keep up with, simply for that reason. I’m also glad I caught it on the big screen, and you’re right — it was a lot of fun watching everyone play different characters, even if the makeup was distracting sometimes. It will be interesting to see what kind of a reputation this film has in 5-10 years. Possible cult hit? an entertaining mess is an interesting mix of words to choose that I think pretty well sums up what most think about Cloud Atlas. Admittedly, I liked it just a bit more and hope to see it for my 3rd time before it leaves theaters, but you brought out some very good points about the movie. Wow, you’re going to see it for a third time? You know, I think Ebert said he did the same thing, and the third viewing was his most enjoyable one. Curious to hear if that will be the case for you as well. Thanks, T.
I wasn’t terribly excited to catch this either, but I’m glad I did. It’s worth a shot. The Wachowski Siblings also directed this? Did Tykwer have it taken away from him or something? I believe they directed alternating segments, with half of the stories going to Tykwer and the other half to the Wachowskis.